Are you getting caught up in the Christmas silly season? With so many things to organise it’s easy to get snowed under. Do you feel like you could use an extra set of hands on deck to help with the household chores while you run around like a headless chicken on a mission? That’s where we come in. Let Houseproud help you out this holiday season so you can spend quality time hanging out with loved ones and enjoying the break, rather than working. The holiday season is a busy time for us as well. People all over Australia are booking our services because let’s face it, we could all use a helping hand over the holidays! We provide a wide range of cleaning services from carpet and upholstery cleaning to a top to bottom spring clean of your house to get it ready for the holiday season. In this post, we take a detailed look at some of our services to give you an idea of what we do and where we can be of service. This is great for singles and families that arebusy working long hours or social butterflies. We realise how easy it is to get caught up with work and social commitments. There’s just no time to stay on top of household chores. This is totally understandable. The last thing you want to do after a big day at the office is come home and do chores. You deserve some down time, some time to relax and catch up with friends and family. That’s where we come into play. All you have to do is give us a call and schedule a regular clean and like magic elves, we’ll clean your house while you’re out. When you get home there is nothing left to do except relax. You may be a bit behind this year but it’s not too late to get a Spring clean so your house is spick and span ready for the festive season. Our Spring clean service is a full clean from top to bottom, inside and outside. We do all the jobs that you have been putting off during the year. On request, we will also pressure clean your driveway, clean your gutters and even wash the outside of your house so it sparkles in the sunshine. Are your tiles looking a bit grotty? Have no fear, Houseproud is here. We have a speciality service where we clean all the gunk out of your grout. Your tiled floors will be looking like new after we’ve been through. 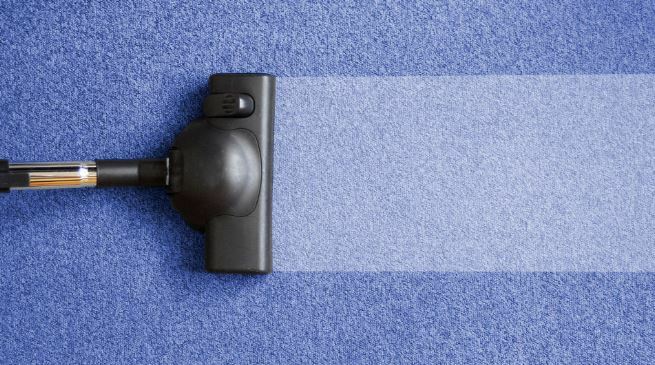 Book in now to get your carpet cleaning done before the silly season rush gets too hectic. We use high-pressure state of the art machinery to bring your dull carpets back to life. Don’t wait until it’s too late. Book your cleaning service with Houseproud now so you can free up valuable time this Christmas break and spend it doing the things you love with the people you love.